"My name is Josh Monahan and I am a Junior at North Carolina State University. "My family has been in the snack food industry for sixty-five years, and growing up, I always knew that I wanted to continue that tradition. "Two years ago I started making plans for a food company of my own. "With hunger being such a serious problem in America and learning that 1 in 6 people in this country do not know where their next meal will come from, I decided to name my company 1 in 6 Snacks. "My vision was to sell great-tasting products while being able to give back to local food banks at the same time. "I am excited to announce that 1 in 6 snacks has become a reality. 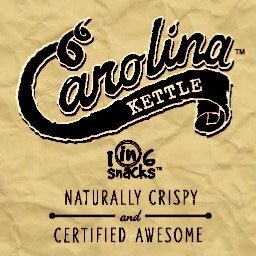 "My first product is Kettle Cooked Potato Chips and the brand name is Carolina Kettle. The first size that I am offering is a 2-ounce bag. "For each of these bags sold, 1 in 6 snacks will donate 5 cents to your local Food Bank. I need your help to spread the word."